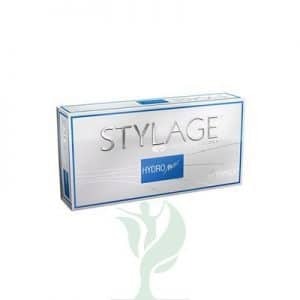 Post Peel Filorga is used for normalization of pH skin after peeling. FILORGA® POST PEEL is a solution of sodium bicarbonate and other ingredients, with a pH of about 8. After a chemical peel, this post-peel solution can help neutralize the peel’s acids and soothe irritated skin, leaving it feeling calmer and more refreshed. Doctors, such as plastic surgeons and dermatologists, use FILORGA® POST PEEL in conjunction with a chemical peel such as FILORGA® LIGHT PEEL, FILORGA® TIME PEEL, or FILORGA® BRIGHT PEEL. The post-peel neutralizing solution helps stop the action of the peel acids and helps to soothe your patient’s irritated skin. 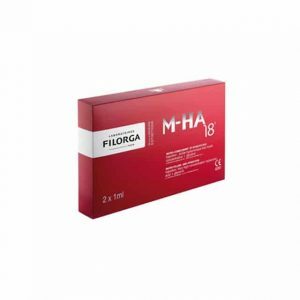 FILORGA® POST PEEL has sodium bicarbonate as its active ingredient, which has a basic pH of 8. When this basic sodium bicarbonate contacts the acidic peel ingredients, it neutralizes the acids to stop their action. This prevents the chemical peel from contacting the skin for too long, it leaves the skin with a close to neutral pH, and it soothes skin that is irritated from the chemical peel treatment. 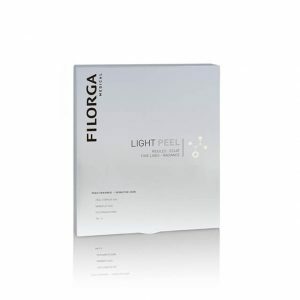 You should use FILORGA® POST PEEL immediately after a chemical peel, such as FILORGA® BRIGHT PEEL, FILORGA® LIGHT PEEL, or FILORGA® TIME PEEL. After applying the peel solution to your patient’s skin using a brush, and leaving the solution on for about three minutes, spray FILORGA® POST PEEL onto a cotton pad or compress. Gently wipe the cotton pad or compress across your patient’s skin to apply the post-peel solution, ensuring you cover all the areas where you had applied the chemical peel but avoiding the eyes and mucous membranes. Next, wet a cotton pad or compress and rinse the FILORGA® POST PEEL from your patient’s skin. This should neutralize the chemical peel, stopping the action of its acids, and leave the skin close to a neutral pH and feeling soothed.